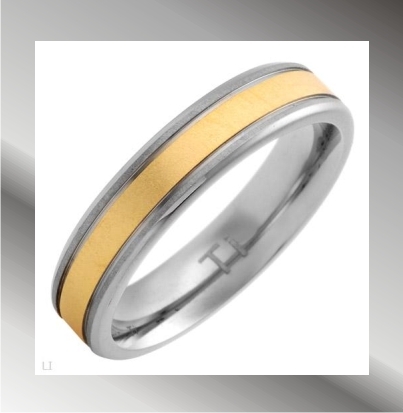 Products -> Wedding band, mens,Gold Inlay, Titanium ring, variable sizes. Price will differ from size V upwards! Please request a quote!